In order to produce tigernut milk, the tigernuts must be processed. This requires harvesting. How is the cultivation of the tigernut? How and when are tigernuts cultivated? 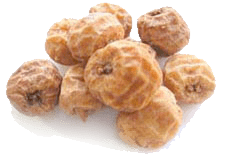 The cultivation of the tigernut is an activity perfected to achieve the highest quality and quantity of product, with the aim of facilitating a good diet and a healthy life. It is carried out in two phases. Land preparation and planting. Tigernuts grow well in sandy soil. It has to be loose, spongy and aerated, not compacted. Planting takes place between April and May. Growth and harvesting. The plant grows until September. Between September and October the plant dries. The tigernut cannot be harvested before it is completely exhausted, something that happens between November and December. The harvest is extended until March of the following year, and is done with a harvesting machine that separates the earth from the tigernuts. Washing. The tigernut is washed with water to remove soil, stones, stems, leaves and roots. Drying. The fresh tuber must be dried. The washed tiger nut is spread on drying surfaces for about three months. There the temperature is controlled and they are stirred once or twice a day, so that the dehydration is uniform. Selection Once dried (up to 10-11% humidity), the best tigernuts are selected and packed. With the packaging the tigernut can be used in other processes. Cultivation starts all over again, year after year. From Ancient Egypt to a 21st century, tigernuts have made a long journey in time. A product of very traditional cultivation and consumption for a modern healthy life.